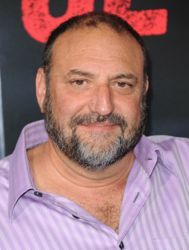 The mythic legend of hyperbolic movie producer Joel Silver was not necessarily squashed but certainly given a different shade as we sat down for an exclusive 15-minute talk that evolved into a half-hour geek fest of monumental proportions. Our conversation runs the gamut from Terry Gilliam’s original ending for the Watchmen movie and throwing Quentin Tarantino under the bus for ripping off Silver’s Sgt. Rock script, to inside baseball talk of the Wham-O Chart and The Bel-Air Circuit, to his faithful adaptations of EC Comics’ “Tales From the Crypt” and why Weird Science helmer John Hughes was so weird himself. Did somebody say “remake”? We also, surprisingly, found time to discuss Silver’s new air-bound thriller Non-Stop with director Jaume Collet-Serra (Orphan) and the incomparable Liam Neesons (sic). Throughout Silver proved to be a genial wealth of information, whizzing from one amazing tangent to another without ever committing the sin of being boring. Not surprising from a guy who’s literally seen, done and made everything there is to see, do and make in Tinseltown. ComingSoon.net: You have a history of nurturing young talent over many pictures, whether it’s Shane Black or The Wachowskis or now Jaume. What is it about all those guys that make them creatively compatible with you? Silver: It depends on the material, if we like the same kind of projects. The Wachowskis had written this project called “Assassins” which had been brought to me by Mel Gibson, and when I read it I said, “This is my kind of movie.” Then I went and met them and found that they had lots of other ideas. Jaume? when I was doing “House of Wax” I wanted a director who could take this old, moribund, stupid project? I don’t know how much we succeeded in bringing it up-to-date, but he had great ideas and he’d done some great commercials, I thought “Let’s take a shot” and he did a great job on the movie. We continued to work together, because I was happy with how he thought about things. Shane was a 21-year-old kid who handed me a script. I didn?t see him, it came from an agent, but it just depends on the material. It’s the oldest line in the book: when I see or read something I want to see, it motivates me to do what it takes to get that to happen. I think we’re in a new golden age of Hollywood. All this entertainment coming from cable television, Netflix, HBO, AMC, and on top of that all these movies. Technology has allowed so many things to happen. I’m proud of the fact that this movie [“Non-Stop” template=’galleryview’]–> doesn’t rely on acres of CGI, it relies on people relating to each other. That’s the way it’s been on all my movies. When we made “Predator” it was the first time I was in a world dealing with special effects I’d never seen before, and that just ramped up to “Matrix” where we changed the way that people look at movies, and I think every movie has been influenced by that picture. Even “Sherlock,” which is 1891, but it’s not THAT reliant on CGI. The CGI is in the backgrounds, in giving the feeling it’s a reality of when the movie is taking place, but it’s not full of CGI elements. I’m not saying there’s anything wrong with that, but in these movies the CGI work is connected to the character and the story. If there are people who I work with that want to do that and it excites me then I work with them. Silver: That didn’t really come from me. It came from an Egyptian producer guy who had been on the scene. He worked for AIP, so when I worked for Larry Gordon I learned about this. A reel in those days was ten minutes. That’s why back in the teens they’d say two-reelers would be a 20-minute movie. His attitude was you need to have an action beat of some sort every ten minutes, every reel, in order for the audience to enjoy the experience. That’s really where it came from. I created the Wham-O Chart to show over the course of the script every ten or twelve pages what that action beat would be. CS: But “Non-Stop”doesn’t really conform to that “ten minutes, BAM, ten minutes, BAM” formula. It’s paced more like an Agatha Christie story. Silver: Yes it is, it’s like “Murder on the Orient Express,” a book that was written in 1934! It does have action elements, but the last reel of this movie is beyond the Wham-O Chart. CS: It definitely makes up for lost time. Silver: Yes. There’s a girl at Universal named Becky who’s in charge of what they call “The Bel-Air Circuit,” which is when they make movies available for the producers or executives in LA who watch those movies in their home screening rooms. Her job is to screen the DCP -we don’t have prints anymore- when it comes in and she clones it and it comes out in that circuit. She didn’t really have any understanding of the movie, she sat down in a dark theater and watched it, then called Carmel my assistant and said, “Is this movie even 90-minutes?” I said, “Get her on the phone? the movie’s an hour fifty.” That to me is what was the most exciting thing I heard, that it’s such a fast ride they don’t even have a sense of how long the movie is. Silver: It was years ago, for some arts and antiques magazine that called doing a story about my collecting. I should never have done it ’cause I’ve lived with this line the rest of my life? but I said I’m an action filmmaker, a commerce filmmaker. That allows me to make movies that are profitable. Once I have the ability to I can go out and acquire art as opposed to making art. It made a lot of sense when I said it, but I inherited it in a fashion that seemed very philistine? CS: But as someone who’s followed your career for a long time, I can say that’s categorically untrue because–not gonna name names, we know who they are–there are a lot of action producers who would literally never make anything as borderline experimental as “Streets of Fire,” “Hudsucker Proxy,” “Speed Racer.” Those movies are works of art, no two ways about it. Silver: I always look at “Kiss Kiss, Bang Bang” as one that just got away. I mean I love that movie. No one at Warner Bros. knew what it was. They didn’t believe in Downey, of course, at that time, but I know that Jon Favreau saw that movie and said, “That guy can play Iron Man.” So I knew the resonance of that movie helped Robert. CS: “Kiss Kiss, Bang Bang” doesn’t even fall into that category of “arty Joel Silver.” I saw that movie with a packed preview audience before it came out and it KILLED. I thought, “This movie’s gonna make $100 million dollars.” It worked like gangbusters, but clearly wasn’t marketed to the people that were out there for it. Silver: This guy Jeff Robinov [former president of Warner Bros. template=’galleryview’]–>, who I hope never surfaces, he’s the guy who didn’t believe in it, didn’t like Robert, didn’t want to waste any money. I didn’t have a piece of that movie, it was a Warner Bros. movie, it was their call, and he just dumped the movie. He was able to do that. CS: The more lavishly experimental ones, like “Hudsucker” or “Speed Racer,” what gives you the cojones to go out of your safety zone like that? CS: They’re as synthetic as the Mario Bros.
Silver: He said, “Nobody will understand that!” I said, “Why don’t you ask that at the focus group at the end?” So he had somebody say, “Do you think those agent guys are robots?” Somebody said, “No, they’re programs!” Bob said, “I don’t understand.” It’s hard to explain. CS: So did those other movies that didn’t make $3 billion come from the same thought process? Silver: Yeah. “Hudsucker” I just loved it. These pictures? maybe if they were cast differently, if they were mounted differently they would have had a different vibe. The boys, the Coen Brothers, wanted Anthony Hopkins who was coming off “Silence of the Lambs,” and he refused to do it so they went with Paul Newman, who was very good! But maybe if Anthony Hopkins was in it coming off an Academy Award maybe that would have helped. CS: I’d heard Tom Cruise was mooted for the Tim Robbins role. Silver: Yeah, and also Robin Williams was interested in playing the Norville character but they wanted Tim Robbins, who was great! There’s an old Dore Schary line? Dore Schary became the head of MGM when they retired Louis Mayer, and he had a line which is still resonant today where he said, “Movies are a success or a failure at their inception.” Sometimes that’s really true. A movie like “LEGO,” have you seen it yet? It’s a very existential film. My eight year old is very existential so he really loved it – you’ll understand when you see it. How could that movie not work? It’s a brilliant way to tell the story of those realms. You’ll see there’s one little quick cut of a “Speed Racer” LEGO set. [NOTE: This writer since saw “The LEGO Movie,” there is indeed a split-second shot of a “Speed Racer” tie-in LEGO set. template=’galleryview’]–> Look, I think some of those movies are kind of malformed, sorta like “The Island of Dr. Moreau”, some never really became what they had to be, some did, and the ones that were the right ones were great, were successful. 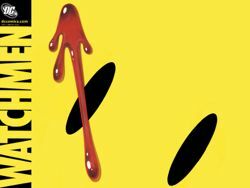 CS: Speaking of ones that got away, as a die-hard Terry Gilliam fan I have to know if there’s anything juicy you can tell me about his conception of “Watchmen”? Silver: I was trying to get it BACK from the studio at that point, because I ended up with both “V For Vendetta” and “Watchmen” and I kinda lost “Watchmen.” I was happy with the way “V” came out, but we took a lot of liberties. That’s one of the reasons Alan Moore was so unpleasant to deal with. The version of “Watchmen” that Zack made, they really felt the notion. They went to Comic-Con, they announced it, they showed things, the audience lost their minds but it wasn’t enough to get a movie that would have that success. What Terry had done, and it was a Sam Hamm script–who had written a script that everybody loved for the first “Batman”–and then he brought in a guy who’d worked for him to do work on it [Charles McKeown, co-writer of “Brazil” template=’galleryview’]–>. What he did was he told the story as-is, but instead of the whole notion of the intergalactic thing which was too hard and too silly, what he did was he maintained that the existence of Doctor Manhattan had changed the whole balance of the world economy, the world political structure. He felt that THAT character really altered the way reality had been. He had the Ozymandias character convince, essentially, the Doctor Manhattan character to go back and stop himself from being created, so there never would be a Doctor Manhattan character. He was the only character with real supernatural powers, he went back and prevented himself from being turned into Doctor Manhattan, and in the vortex that was created after that occurred these characters from “Watchmen” only became characters in a comic book. CS: That’s fascinating. Very META. Silver: Oh yeah. So the three characters, I think it was Rorschach and Nite Owl and Silk Spectre, they’re all of the sudden in Times Square and there’s a kid reading a comic book. They become like the people in Times Square dressing up like characters as opposed to really BEING those characters. There’s a kid reading the comic book and he’s like, “Hey, you’re just like in my comic book.” It was very smart, it was very articulate, and it really gave a very satisfying resolution to the story, but it just didn’t happen. Lost to time. CS: Oh yeah, I think it’s as true to the material as it ever could have been. Silver: We changed a lot of “V.” There were things in “V” that I missed. I don’t know if you were a “V” fan? CS: Honestly, I read the graphic novel and love Alan Moore, but that is one of his more unwieldy books. The movie streamlined it in a way that made it more powerful, and timely. Silver: The character of the Five Fingers and the Eye and the Ear was really intriguing stuff, because he is a very smart guy. We stripped all that out because we couldn’t keep it all going. It’s a really good movie. CS: It’s a very subversive movie. Silver: Yeah, it’s good. When Natalie looks up and says, “God is in the rain,” that’s just an incredible moment. CS: Oh yeah. And that’s a project you spent a great deal of time bringing to the screen? CS: Eleven years. Are there any other great white whales you haven’t caught yet? Silver: Oh sure. Oh God yeah. I tried for years to get “Sgt. Rock” made. A story that came out? I never was a Quentin Tarantino fan, I’m not a Quentin Tarantino fan, I don’t love what he does. I think his pastiche and parody is not what I think is cool, but a lot of people love what he does. I liked the last one, “Django.” But I sent him “Sgt. Rock” and never heard back and then heard years later that he’d actually read it and made cast lists and wanted to make the movie, then said, “Why do I want to make that? I’ll just make my own.” That evolved into “Inglourious Basterds.” I tried for years to make “Rock,” I couldn’t get that off the ground. CS: There’s that tantalizing shot at the end of “Predator” with Shane Black holding the “Sgt. Rock” comic! Silver: That?s when I started to do it. There’s a lot of things that never came to fruition, and a lot of things that came and maybe shouldn’t have! I just keep at it. Things still excite me. I love “Non-Stop” – it actually came out far better than I thought it would come out. I sat here today and heard journalists tell me why it’s such a good movie, which I like to hear. CS: People definitely responded at the screening. It has that old school “Airport ’77” vibe to it. Silver: That’s the idea. It’s a commerce movie, it’s meant as a commerce movie, but if it’s a good commerce movie then we’ve done our job. CS: Exactly. 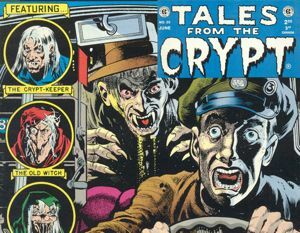 Like you I grew up voraciously reading reprints of the old EC comics. The stuff that Al Feldstein and Wally Wood and Harvey Kurtzman did has never been matched. You guys got a lot of juice out of “Tales From the Crypt,” but do you have designs on doing anything with the science fiction books or the war books. CS: The Robert Zemeckis one. Silver: Yes. He had his wife [Mary Ellen Trainor template=’galleryview’]–> playing the woman. The way it had ended was just the guy knocks on the door, opens the door and there’s the guy standing there with a little girl and the f**king axe or something. I said, “How do we end it?” Gaines said, “Just have her scream her head off.” We just did that, cut to Mary Ellen screaming. He just knew what he was doing. He was a great, great man. In the beginning we brought him to LA and launched the series and he was involved in all these junkets we’re doing now and he sat in rooms with journalists. I was so impressed with him, I’d just sit and listen to him talk. He had a wonderful wife, I think it was his second or something, and she was so sweet and she loved him and cared for him, and the minute he died the family just got rid of her, threw her away. Everything went to his daughters in the mid-west. His story is a colorful story. His father was doing these educational comics, and he’s the one that said, “I want to change it.” I would follow his stories, and we did 93 or 94 of those. Some were better than others, some are great, some are s**t, some are REALLY stupid, some are like other ones, but we followed the stories and just showed them the way they were and they were fantastic. CS: Those things were done in the ’50s and they’re so potent that they can just keep reprinting them through infinity, forever. CS: That was based on a “Two-Fisted Tales” story. Silver: Yes, it was a “Two-Fisted Tales” story. Such a bizarre story. The general father kills his own son to prove a point. CS: And it really was Kirk Douglas’s son, Eric. Silver: Yeah, who’s dead now. He was a troubled kid and he was trying to help him through it. It was wild. CS: So many strange parallels. You also did the “Weird Science” with John Hughes, which was actually based on a Feldstein story? Silver: No. I think I’m gonna remake that movie. I think so. I want to, I hired the guy who did “Project X,” did a great job for us, to rethink that story for today. It involves a 3-D printer. CS: Might make a little more sense. Maybe. Silver: What happened was the day that they arrived, the day that all those big books of EC Comics arrived they were sitting in my office and there was a real hot girl that day sitting at lunch in the commissary at Universal, and John walked in? and John was a weird guy, I mean a really weird guy. He wasn’t a conventional, easy guy to understand. His story is even more bizarre. He started writing things at the National Lampoon for this guy Matty Simmons, and he was so prolific working at this advertising agency Leo Burnett in Chicago. He just sat at his copywriter desk and wrote stuff. He was an early adopter of the word processor. When he was writing those scripts people were still working on electric typewriters. Matty called him up one day and said, “I’ve got an idea: I want to do a fake American newspaper. How do you feel about that?” Hughes says, “Let me think about it.” That’s on a Friday afternoon. Monday morning he sends him the entire newspaper. It was from “Dakron, Ohio” and it was called “The Dakron Democratic-Republican” or something. He wrote the whole paper! Sat down one weekend and just wrote it, sent it to Matty. They were SHOCKED to see these reams of paper coming to them. John was like that, and he was sitting in my office and saw them undoing the packaging on the books in those cases. He saw the one that said “Weird Science” and said, “What if two kids?” ?he had two boys, but they were always him- “?they figure out a way to make that girl that was in the commissary.” That’s how it happened. I already had rights to the EC books, so that’s how I convinced them to let me have the title. They would have never done it if it was just, “Hi, I want the title.” That’s how we did it, but that wasn’t a big success, that movie. CS: Right, and it’s such an anomaly in his filmography, too. It’s the antithesis of the more semi-grounded, emotionally raw teen movies he did before and after. Silver: It collapsed what I liked and what he liked, so it put them together. The studio didn’t believe in it either. There was a guy there named Frank Price at the studio that didn’t like it. It was a complicated time. Non-Stop opens the evening of Thursday, February 27.